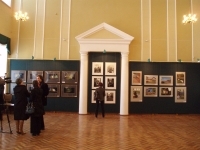 Historian of art, curator of art exhibitions and international art projects in Belarus and abroad, photo-artist. Graduated from Minsk State Pedagogical Institute of Foreign Languages. Took postgraduate course of Belarusian State Academy of Arts - degree "art criticism". Had study courses at Center for Contemporary Art and Media Technology in Karlsruhe (2000), “documenta-11” (2002) and the 5th Berlin Biennale (2008), had career enhancement trainings "fine arts", "work with the press and public" in Moscow, Munich and Berlin. She is the author of over 150 articles about modern Belarusian and foreign art. Member of Belarusian Union of Artists (section of Art criticism). 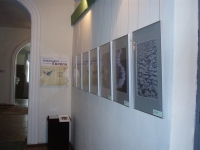 2010-2011 assistant curator of the Pavilion of the Republic of Belarus at 54th Venice Biennale.